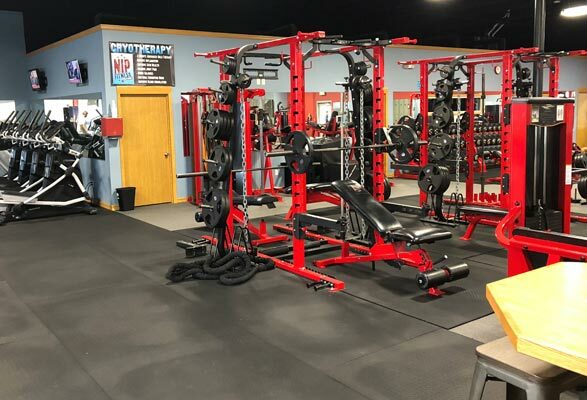 NIP East - Everything You Need For Efficient Strength Training and Fitness! 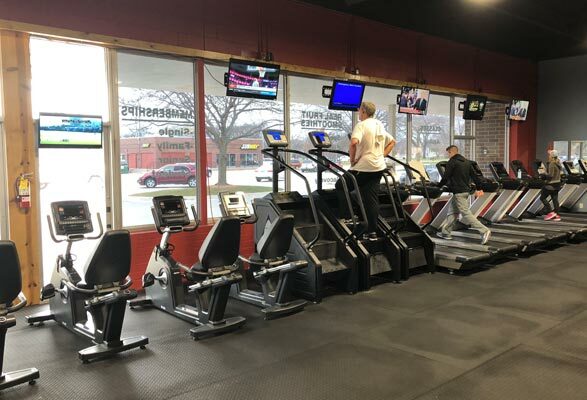 NIP Fitness East is located at 471 South Illinois in Mason City, Iowa. 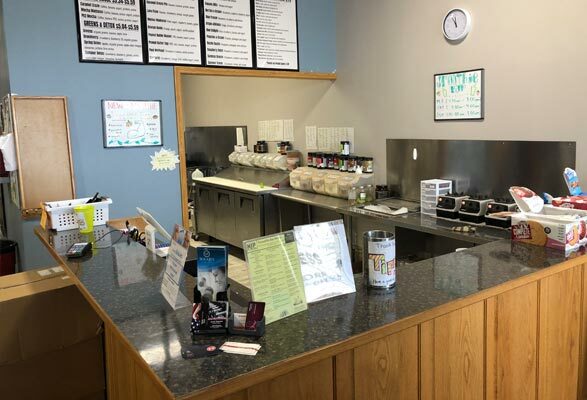 Our location is easy to get to and in a great neighborhood. 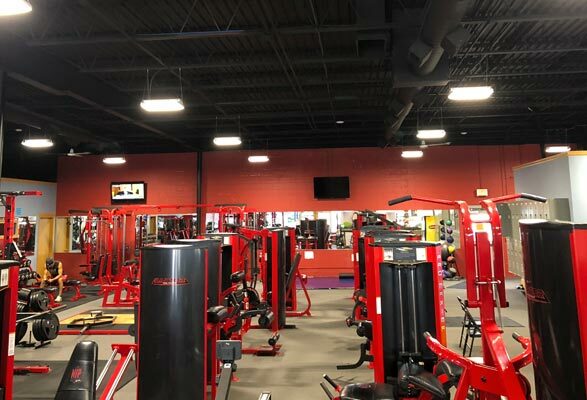 You will feel safe, even if you are working out late at night. Our facility is staffed during the day to answer your questions, or give you advice. At night our locations are monitored with our newly installed state-of-the-art surveillance equipment. We feature a full lineup of supplements, including organic, for men and women to support a variety of fitness goals. Cap off your workout with a delicious fresh fruit smoothie. 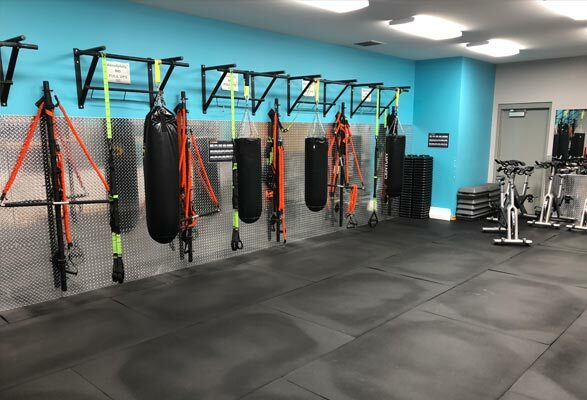 Our classrooms are for general fitness classes and are equipped with Stroops resistance bands, TRX Suspension Training Equipment, Dumbbells, kettle bells, steps and spin bikes. Develop incredible power and strength with our power cage. 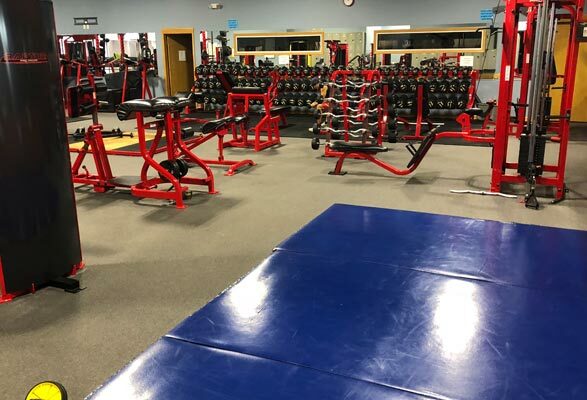 We have the equipment for a full selection of powerlifting options.